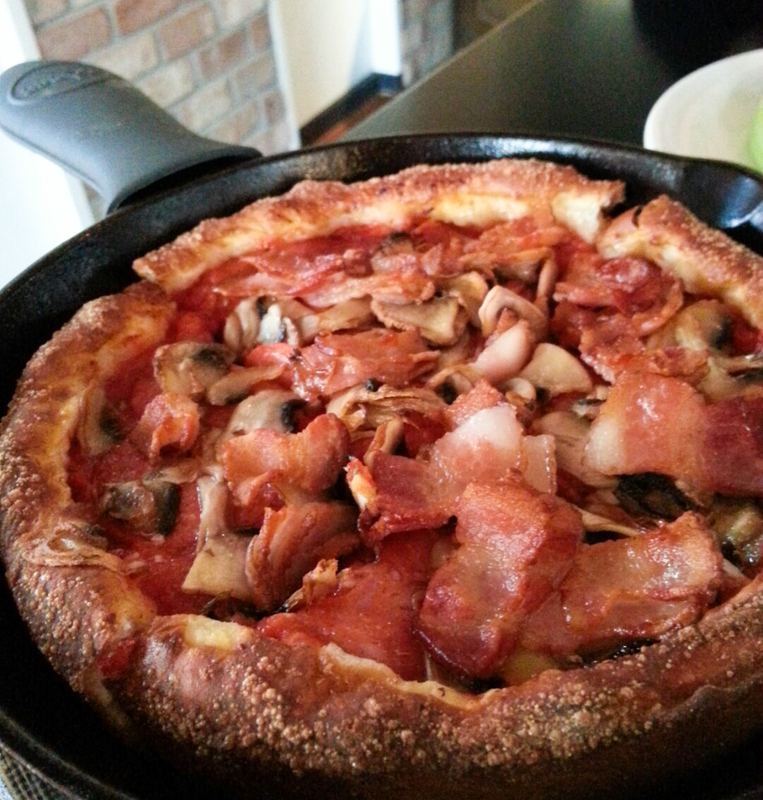 It seems that the Chicago Deep Dish Pizza hype has been taking over Korea as of lately. When I was in elementary school during a family road trip, we were at either Giordano’s or Pizzeria Uno, and I remember thinking as a kid, “This is some bomb pizza.” When I tried the new Chicago Pizza stores opening up, I was disappointed to pay for an overpriced pizza with just a massive layer of cheese goo. Nothing close to that deep dish I had years back. But when I was around the Hannam area, I came across Jackson Blvd. and I wanted to try out what they had. As I stepped inside, even before I tried the food, this neon sign won my heart- “People disappoint, pizza is eternal.” Mmhmm, preeeeach. For appetizers, my friend and I ordered the “Glorious Onion” (9500won) and “Maple Hickory BBQ wings” (9000won). I liked the crunchiness of the onion rings and the cheesy sauce and bacon bits sprinkled on top. The wings were delicious, especially with the ranch sauce, but I felt like the sauce was too tangy and sharp after the third wing and had to go for the celery sticks. And finalllly, our long-awaited pizza. We ordered the Jackson Five (18,000won) which was topped with bacon, mushroom and lots and lots of mozzarella cheese. The crust had a crunchy exterior with a light and airy interior, which stood in stark contrast with the flimsy Chicago Pizza dough that is not even fully cooked most of the times. But if there’s one thing I was kind of iffy about, it’s the size. But I guess it’s quality over quantity, right? 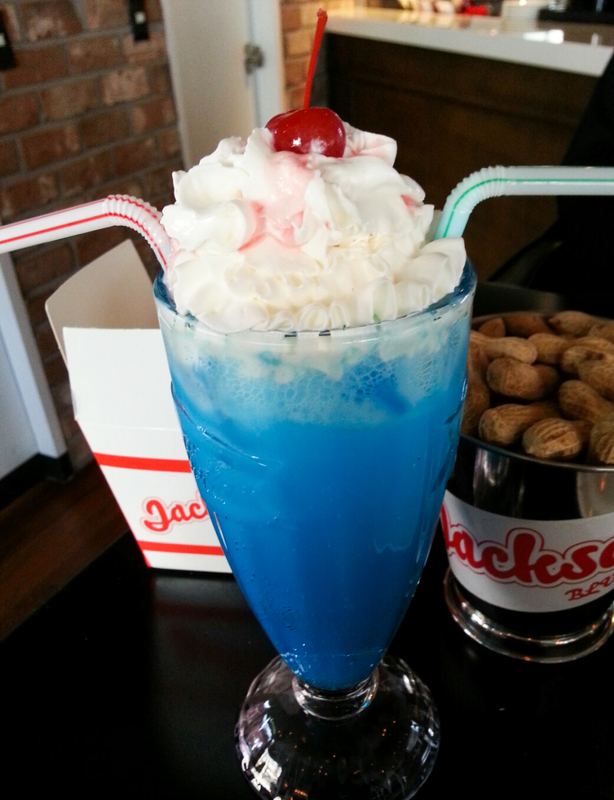 For a drink, I ordered the Jackson Cream soda, which was way too sweet for me. It literally tasted like cotton candy in liquid form and I couldn’t even finish it and had to just admire the azure blue concoction. Jackson Pizza is a bit on the pricey end, but I would say it is worth checking out once! Coming out of Hangangjin Stn. Exit #1, keep walking straight until you see a CU and turn into a corner (it will be about a 10 minute walk). You will see Pizzeria Buza and behind that is Jackson Pizza. You will see an all-white building with “Jackson” written in a bright red font.